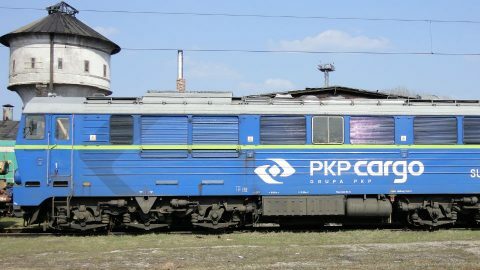 Polish railway operator PKP Cargo is investing heavily in its services, responding to the growing volumes of rail freight traffic between Europe and Asia. About 250 million Euros per year is spent in what the company calls a proactive approach. 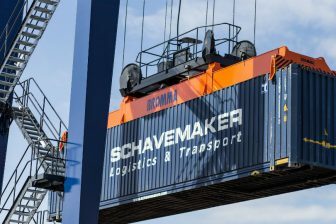 “This railway connection is extremely important for us”, said Andrzej Banucha of PKP Cargo. The deputy director of the Bureau for Promotion and Investor Relations will participate in the New Silk Road Conference on 27 September, in Tilburg, the Netherlands. He will explain how the company contributes to an improved connection between east and west. PKP Cargo, the subsidiary of the Polish national railway company PKP S.A. owns all the border terminals in Poland. This also includes the crossing at Malaszewicze-Brest, connecting Poland and Belarus. This is the most popular border crossing on the New Silk Road. “In four to five years, the capacity at this terminal will be multiplied by four”, said Banucha. Contrary to what Banucha said, the terminal has been considered a hurdle in the transport between China and Europe. Traffic is often delayed and information about the cause of delay is scarcely available. Rolling stock for westbound train services is also scarce, claim shippers and forwarders alike. Infrastructure manager PKP PLK is currently carrying out a massive expansion plan. It is investing 20 billion Euros until 2023. 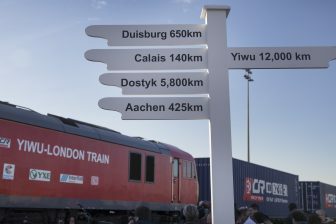 Today, this is the biggest investment plan into railway infrastructure in the EU, another signal of Poland’s willingness to contribute to an improved Eurasian railway network, Banucha said. 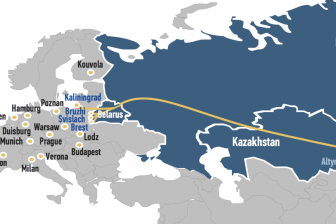 Do you want to hear more about the New Silk Road, the stance of PKP Cargo or that of forwarders on the route? All these will be discussed at the New Silk Road Conference on 27 September in Tilburg, the Netherlands. More information about this conference can be found here. Here you can register for the event.